What money may be taken off your salary when you decide to leave? The most common month for salary increases – April – is on the horizon. There are various factors that influence an organisation’s salary adjustment decision. 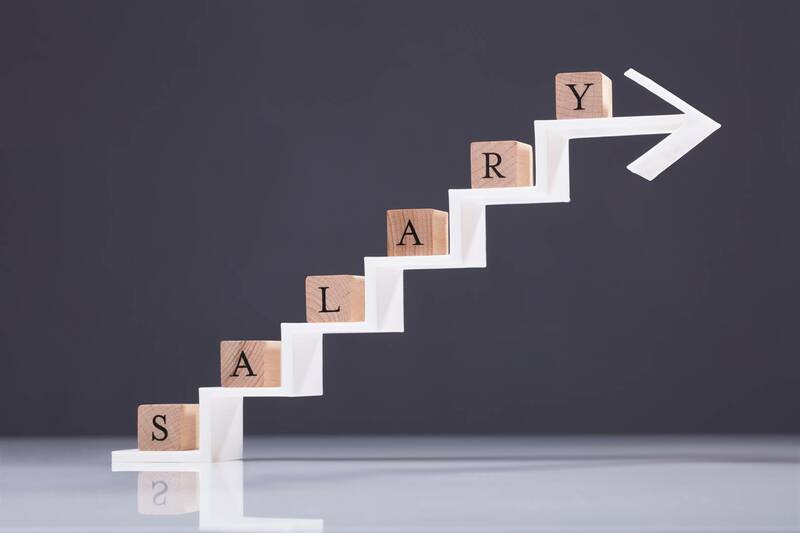 Not only can salary increases have a huge effect on the sustainability of the organisation itself, it can also collectively affect the inflation rate of South Africa. According to The South African Labour Guide, labour legislation does not currently regulate salary increases. There is, therefore, no obligation on the employer to grant annual increases unless it is stated in any main agreement or collective agreement, where provision is usually made for annual wage or salary negotiations. It is a matter of mutual interest between employer and employee. Employees would hope that those salary adjustments are in excess of the current consumer price index (CPI) rate (higher real wages than inflation). With the volatility, uncertainty and low growth in the South African economy in 2018, a below inflation increase or wage freeze is not unlikely, particularly at executive level. One of the factors contributing to this is the 0.8% overall growth of the GDP and similarly poor financial performances by organisations. These are indeed challenging times. The survey found that the CPI was the primary determinant of salary increases, followed by company performance and local market pay levels. This is to be expected given the current state of the South African economy. 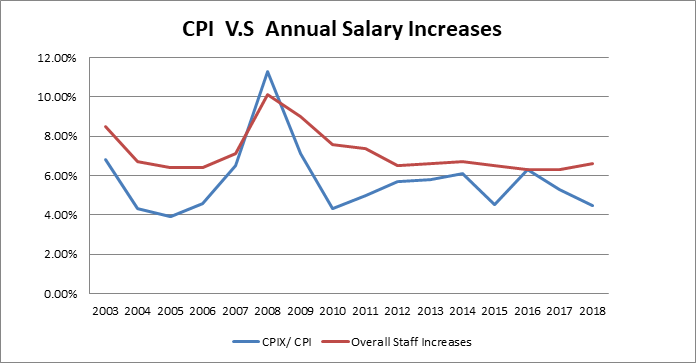 The figure below reflects CPI versus annual salary increases from 2003 to 2018. The graph indicates that salary increases have for the most part been above the annual CPI except in the two years 2008 and 2016. When making a decision on whether to adjust salaries for the year, an organisation needs to determine each employee’s salary increment. The biggest drivers of annual increase differentiation in the survey were individual performance as well as market relativity as per salary survey information considered by 62% of respondents, followed closely by company performance. Considerations such as the organisation’s historical salary increase as well as affordability should always be deliberated on as well. Likewise, the individual performance of incumbents as well as the current remuneration strategy should also be considered. The results of the 21st Century survey (www.21century.co.za) were that salary increases are likely to fall between 6% and 7% at general staff level for the 2019 year ahead, where affordability allows, with increases closer to 6% in the levels above general staff. A higher increase for employees at general staff level is not unusual considering that general staff are hit harder by inflation because they spend a higher proportion of their income on consumable goods and therefore feel great impact in their disposable income. In addition, responsible companies are attempting to decrease the wage gap between executives and general staff by granting higher increases to general staff than executives. All in all, this is not a straightforward decision – both external and internal factors have an impact on the decision-making, all of which ultimately affects an organisation’s ability to employ people and ultimately help build a growing economy. How can parents encourage entrepreneurship in their children?